Register for our spring 3 on 3 leagues. Try it out – Registration now live for trial session! Welcome to FTA – The Functional Training Academy – For The Athlete in You. We would like to introduce you to our Off Season Basketball Training Program; a physical literacy, athletic development and High Performance fitness solution designed specifically for basketball and customized for 3 training stages by age groups (8-10 yrs, 11-13 yrs, 14-16 yrs) to be able to push the limits and prepare the players for the next season. FTA has taken a European approach and meshed it with our North American hardworking mannerisms to create a solid fitness solution. The high tech body weight resistance equipment is not only revolutionary but also keeps training safe as there are no clunky oversized weights involved. Please join us to our INTRO session where the youth will be introduced to the programming and upcoming training. Our start date is May 2nd and details are below. Please remind the players to wear running shoes not high basketball shoes and shorts and a T-shirt. Let’s not forget water & their basketball. We look forward to working on building speed, flexibility, strength and overall athleticism to the participating athletes. Click here to watch an informational video about FTA. 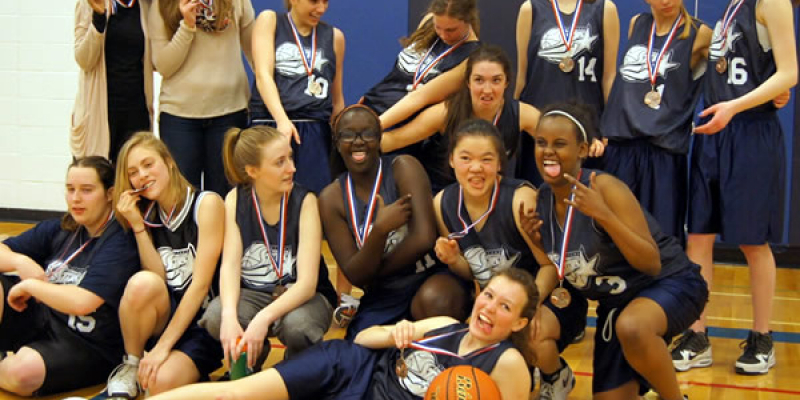 The House League program is designed to teach basketball skills in a safe and fun environment. We are competitive and strive to win. We do not however believe in winning at any cost. In the Novice program we aim to build a solid foundation for future play and competition. Small Ball is for 6-7 (born in 2010-2011) year old boys and girls who want to learn to play basketball and have fun. House league teams work on skill improvement and compete in games on a friendly basis. Our emphasis is on skills development, recreation and team play. Online registration for house league teams will open the week of September 24th. House league spots are given on a first come first served basis. House league teams will be sorted and finalized the week of October 16th. A club fee of $375 will be collected online from the team members. Registration will open at 8am on the days listed below. Please read the FAQ sections below to learn more about House league including details about practice dates, times and locations. What is the philosophy of your program? Our program is designed to teach the skills of basketball in a safe and fun environment. Our emphasis is on skills development, recreation and team play. While winning can be rewarding, this is not the end goal of our house league program. Players wishing to compete at a higher level may participate in our competitive program. Teams have one, 60-90 minute practice and 1 game per week. The season runs from mid-October until the end of March with breaks over Christmas and March break. Practices begin the week of October 13th. Are there tryouts for house league? No, however, where we have multiple teams in a given age group, we may hold sort-out sessions to assess skill level (in order to create balanced teams). Practice times and locations to be determined. 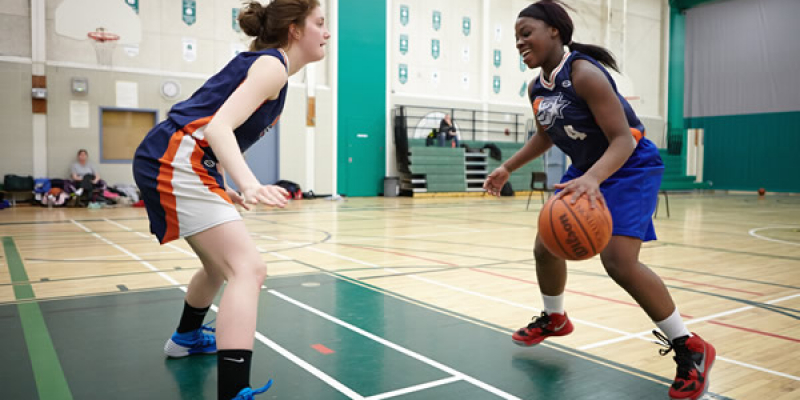 Games for teams competing in the Central Ottawa Basketball League generally take place at central locations while games for teams competing in the West End Basketball League mostly take place in the western and southern parts of the city. Game locations may vary from week to week during the season. Schedules are released towards the end of October. What league do teams participate in? 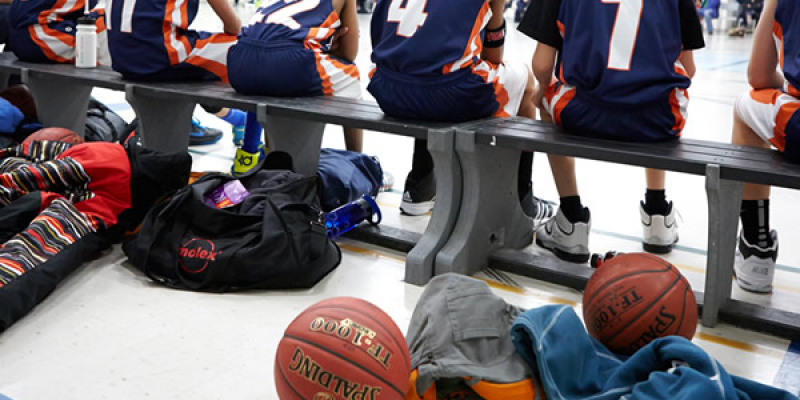 Teams compete in either the Central Ottawa Basketball League that consists of teams from several centrally located Clubs or the West End Basketball League which includes teams from Ottawa South, Nepean, Kanata, Goulbourn and Almonte. To ensure ample participation, our house league teams are limited to a maximum 13 players. Do players receive equal playing time? Our coaches make every attempt to ensure equal playing time and equal playing time rules are enforced by the leagues we play in. Does registering and paying guarantee a spot? We do our best to accommodate all registrants however we cannot guarantee spots for all. To ensure fairness we assign spots based on date/time of registration and pay status (e.g. those who have paid the registration fee in full get priority). If, for some reason, we cannot accommodate your son or daughter we will notify you by email and will refund your registration fee in full. There are separate divisions for girls and boys in all age groups. Do you have a program for young children? Yes, we have a Novice program for boys and girls ages 7-9 and a Small Ball program for children 4 to 7 years old. If my child does not make a competitive team will he/she be guaranteed a spot on a house league team? We do not guarantee spots in house league for players who have been released from a Competitive team. To secure a spot in house league, you must send your request to the House League Convener indicating your interest. House league spots are allocated on a first-come, first-served basis. We accept cash, cheque or credit card. You can also register with a credit card on our web site (preferred). Do players get a uniform? Yes, parents are expected to help out to ensure the success of the program. In our House league program you may volunteer as a coach, assistant coach, team manager or timekeeper/scorekeeper. For further information please contact our House league convenor. Players with Quebec addresses will not be able to register or play for the Ottawa Shooting Stars. Players at this level work on skills and compete in games for placement within the region as well as the province. We know that if we play our best as a team we win, regardless of the score. Registration for competitive team try-outs is now CLOSED. If my child does not make a competitive team are they guaranteed a spot on a house league team? If you do not make the competitive team you are trying out for, and wish to play on an Ottawa Shooting Stars House League team, you must send an email to the House League convenor at house@ottawashootingstars.com to indicate your interest. Note that registration for House League opens after Competitive team rosters have been finalized and spaces on House League teams are limited and will be made available on a first come first serve basis. Cost of uniforms is NOT included in the registration fees and is NOT covered by the club. Teams will wear Under Armour custom uniforms for 2017-18 and players will keep the uniforms. Tryouts usually are held from mid September to early October. Teams are formed by late October. The season ends in late March to early May, depending on the level. Yes, players need to attend regularly. In the case of illness, a player is excused. In the case of absence, it is important to notify the coach prior to the practice or game. In the case of injury, the player is usually required to attend to keep up with new plays, etc. Depending on the level of the player, those who have been absent from practices before games may be asked not to play in the next game. The position of the club has always been one of friendly competition. However each team and level within the club establishes its unique approach to winning, based on the players, seeding and competition levels. Registration fees: Registration fees cover the cost of tournaments, game referees, gym rentals, equipment, uniforms and club insurance. Season fees: Each team calculates a projected cost for the season based on the number of tournaments the coaches decide to participate in. The tournaments cost between $300 and $650 to play in. When coaches are not parents of players, the team pays for their accommodation and travel to tournaments. The fees also cover social activities. Each family pays an equal percentage of the total. If there is money remaining at the end of the season, each family will receive an equal portion of that amount. Are any of the club’s members paid? No, all members of the club volunteer their time. How many trips are made out of town? What are the costs associated with these? Each team participates in approximately 3 out of town tournaments. The costs associated with these are transportation (gas), hotel, and food. These vary with the location of the tournament. How many games does a team have to play to participate in the provincials? To qualify for the provincials you must play 2 teams from outside your region and 1 sanctioned tournament. What is the Ottawa Shooting Stars refund policy? For any withdrawals after October 16, no refund will be provided. Requests must include the full name and date of birth of the player along with the name and address to which our refund cheque should be sent. The Ottawa Shooting Stars do not supply tax receipts. The Canada Revenue Agency accepts cancelled cheques as well as applying a $75.00 tax credit (for sports) for each dependent child. The new OBA competitive player transfer policy is coming into effect for the 2015-2016 season. It is important that clubs, players and parents are informed about this new policy. The following is a brief summary of the policy. Everyone is encouraged to consult the OBA website for more details. If a competitive player would like to change clubs they must obtain a release from their current club. In addition, the player or club they are transferring to is required to pay a $50 transfer fee to the OBA as well as a $250 transfer fee to the club the player was released from. For example, if a player from the Ottawa Shooting Stars transfers to the Nepean Blue Devils and makes a Nepean competitive team Nepean is required to pay a $50 transfer fee to the OBA and a $250 transfer fee to the Ottawa Shooting Stars. EOBA clubs can wave the club to club fee but the OBA fee must be paid. The OBA does offer exceptions to the transfer policy such as when players move outside of their geographic region or when a club no longer offers a program at a given age group. In these cases the player is automatically released and the club to club transfer fee is waived but the OBA transfer fee still applies. The Ottawa Shooting Stars Novice program is designed with a focus on skill development and teaching players the fundamentals of the game (dribbling, passing, shooting and defending). We aim to build a solid foundation for future play and competition. The program is led by experienced coaches with have a high level of knowledge and enthusiasm. The program consists of weekly practice sessions and scrimmages with the goals of fun and physical fitness. The Novice program is open to boys and girls. Children are supplied with a practice jersey and ball and should wear a good pair of indoor shoes. Practices start in mid-October and run through to the end of April. No prior basketball experience is necessary. Competitive Novice Teams for both girls and boys will be formed after the season starts. Players will be selected based on basketball interest and potential. Competitive Novice Teams will play games against other regional Novice teams. Additional practices and games will be organized for this group. Registration for Ottawa Shooting Stars Novice Programs opens on September 27th. Registration for Ottawa Shooting Stars Small Ball Programs opens on September 28th.